A great campaign for the French addiction concern charity Addict Aide, subverting the conventions of Instagram to reach an audience and make them think. Snapchat has announced that they are releasing a video camera, called 'Spectacles', and shaped like... you guessed it. 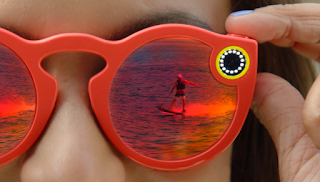 I think it's a great move, and very much in keeping with Snapchat as a fun brand. You can imagine them being a bit hit at a party, a wedding, on holiday or whatever. They record 10 or 30 second video clips which can then be shared to a phone via Bluetooth and then uploaded, so it sounds like they're shareable - i.e. you could buy a couple of pairs for people to muck about with (at $130 a pair). It reminds me a bit of the Flip video camera - it's a fun, single use device that is 'good enough' to be fun, rather than a high spec product. Let's see how these sell. It also raises the question of what hardware would other software companies produce? Amazon made the Kindle, and then moved on to the Kindle Fire tablet, the Fire Stick, and now the Echo and Dash buttons, which are ultimately all about making shopping easier. Google has now made phones, and maybe most interestingly, the Chromecast, which is all about accessing content, or sharing content. Oh, and their car. I love this - sadly I think it's happening in the US only. "In celebration of Talk Like a Pirate Day, which falls on September 19 this year, Krispy Kreme is inviting customers to dress up in their finest pirate gear to receive one dozen free original glazed doughnuts. Qualifying costumes must include three pirate-themed items, such as a bandana or eye patch. If individuals do not own such gear, they can simply visit a Krispy Kreme store to access the chain’s custom Snapchat geofilter, which can be used to digitally adorn their outfits. 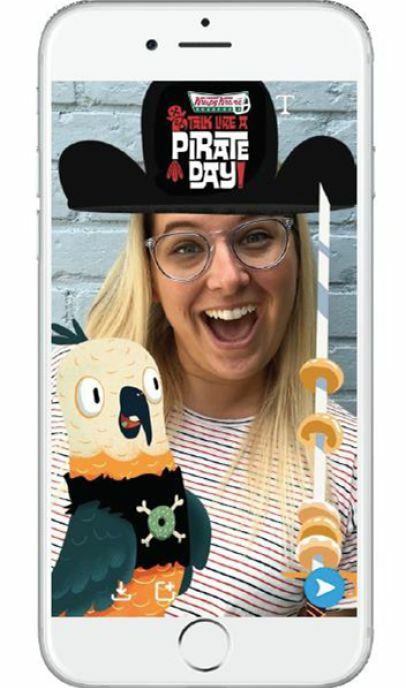 The filter features a pirate hat, parrot and sword. 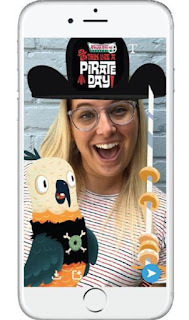 Consumers must then show their Snapchat selfie with the accompanying filter to any in-store associate to receive a free set of a dozen original doughnuts." I think it's a great use of both location (you've got to be in a Krispy Kreme to get the filter), couponing (one of the first give-aways I've heard of on Snapchat), and you can bet that the pics are going to be shared far and wide, as will pics of people eating the free donuts!